Activated charcoal - a medicine given by nature. It is taken internally to purify the body from toxic substances. Activated carbon operates by the mechanism of adsorption(absorption). Activated charcoal is natural, but it doesn't cost them too carried away. Every substance has its own proper dosage. You need to remember that activated charcoal can cure. Even activated charcoal has its side effects. Among them constipation, vitamin deficiencies, indigestion, low blood pressure, hypothermia, hypocalcemia, and hypoglycemia. One of the first reasons is shown to take activated charcoal – food poisoning. With food poisoning in the human body is a lot of toxins. Activated carbon for its ability to adsorption will not let them be absorbed into the bloodstream. It should know that already absorbed into the tissues of the toxins activated charcoal to extract not. So he has to take it no later than 12 hours after contact with toxic substances in the body. In the case of food poisoning you need to drink 100-200 mg of coal (depending on the age of the patient) per 1 kg of weight. To eat not once, but thrice. In acute poisoning first you need to make gastric lavage. Another useful property of activated charcoal is the provision of antidiarrheal effect. So it can cope with the processes of fermentation and putrefaction in the intestines. In particular, activated carbon is used for flatulence. In this case, the dosage is 100-200 mg three times per day. The course of treatment is 3-7 days. With the active processes of fermentation and putrefaction should be consumed 1 g three times a day. The course of treatment is 1-2 weeks. Oddly enough, but in the fight against flu and acute respiratory viral infections activated charcoal may also help. Because of the presence in the body of a large number of viruses and bacteria it gradually polluted by their waste products. The accumulation of these substances leads to intoxication. Dosage the flu and SARS standard: 250 mg per 10 kg of body weight. Some people are so believe in the power of activated charcoal, what it is used for weight reduction of the body. About the effectiveness of this procedure, opinions differ. The use of activated carbon is shown and in allergic reactions. It will increase the number of T-lymphocytes in the blood, reducing the number of free immune cells. Therefore, the patient's immune system will be strengthened. Reception for allergies, again, standard: 250 mg per 10 kg of body weight. Activated charcoal can be taken simultaneously with food. Otherwise the body is deprived of the substances it receives. You can't take it along with other drugs. Activated charcoal just bring the body of their active ingredients. 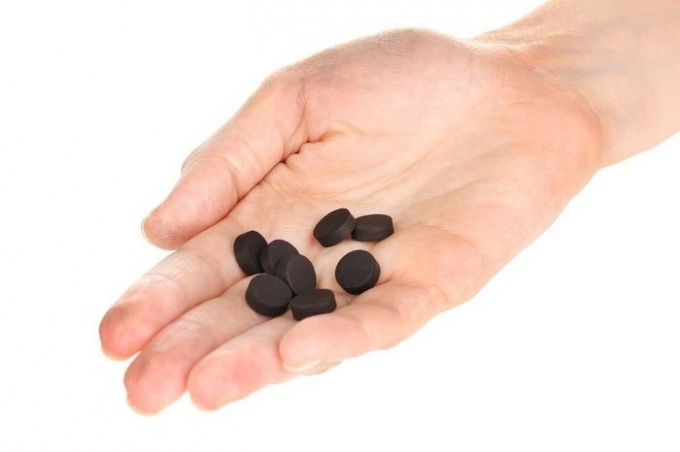 Activated charcoal can be used during ulcer of the gastrointestinal tract and gastric bleeding. Also, it is not recommended when the propensity to constipation, because it has the ability to "enhance" a chair.